10. May 2016: New official Dillards homepage: http://officialdillards.com. 10. May 2016: New Dillards CD coming soon. 15. Oct. 2013: Alan Jackson recorded the Dillards song "There is a time" on his new CD "The Bluegrass Album". 28. Aug. 2013: Video clip of Rodney Dillard today. 26. July 2012: Info and pics of Dean Webb and his Missouri Boatride Bluegrass Band. 16. May 2012: DOUG DILLARD DIED on May 16. 01. Aug. 2011: Rare Rodney Dillard single from 1986 "Beam me up, Scotty" on "Silver Dollar Records". 18. July 2011: New Gospel CD by Rodney Dillard & The Dillard Band feat. Beverly Dillard "Don't wait for the hearse to take you to church". 18. July 2011: Picture of Doug, Harry Dean Stanton, Byron Berline & Rodney from the movie "The Rose" from 1979. 19. Jan. 2011: Steve Cooley (member of the Dillards in the 80s and 90s) is working on a Dillards tribute album. 30. Sept. 2010: New Rodney Dillard CD out now! "I wish life was like Mayberry". 16. Aug. 2010: Cover of new Rodney Dillard CD "I wish life was like Mayberry". 03. Aug. 2010: Mitch Jayne died August 2nd 2010! 08. July 2010: New CD of Rodney Dillard & The Dillard Band available in September 2010. 24. March 2010: The Dillards 2010! 30. Oct. 2009: Original Dillards inducted into the "International Bluegrass Music Hall of Fame". 08. Feb. 2009: Dewey Martin Dillards drummer 1965 died at age 68. 01. Dec. 2008: New CD by Arlo Guthrie & The Dilllards "32 Cents / Postage Due" or here with track info and cover. 31. March 2008: Picture of Dillard & Clark with Jon Corneal. 22. Jan. 2008: A list of Mitch Jayne's books. 22. Jan. 2008: Pics of Doug and Rodney 2006. 11. Oct. 2007: Unreleased Dillard track on new Sierra CD Sixties Transition with Chris Hillman & Michael Clarke. 07. Aug. 2007: Mitch Jayne wrote a new novel. 03. May 2006: "New Dillards" CD "The Dillards - Douglas and Rodney: Early Recordings - 1959". 26. Nov. 2005: New Dillards CD "The Dillards - Douglas and Rodney: The lost years". 26. Nov. 2005: New Rodney and Beverly Dillard CD "Heaven". 24. July 2005: New "Dillards Songbook". 24. May 2005: New Dillards compilation CD: "Let the music flow - The best of 1963-79". 13. Feb. 2005: Picture of Doug, J. Hartford & The Dillards. 12. Feb. 2005: "Melody Ranch" DVD release feat. 4 songs by The Dillards from the late 60s. 18. Jan. 2005: Picture of The Dillards with Herb Pedersen from the late 60s . 03. Oct. 2004: Track list for Rodney Dillard CD Roots Of Gospel . 16. Sept. 2004: Info on Dillards EP on K-Ark 102-B. 07. Sept. 2004: Picture of Doug Dillards single "My grass is blue". 04. Sept. 2004: Picture of the Dillards 1977. 20. Aug. 2004: Elektra Records has released a double CD with 3 Dillards albums and two singles. 13. Aug. 2004: New Rodney Dillard CD "I wish life was like Mayberry". 04. June 2004: CD release of Doug's Banjo Album with 5 bonus tracks. 10. April 2004: Albert E. Brumley, Jr. CD produced by Rodney Dillard 2003. 20. March 2004: Picture of The Byrds with Doug and Gram Parsons. 01. March 2004: A lot of pictures of Doug Dillard. 29. 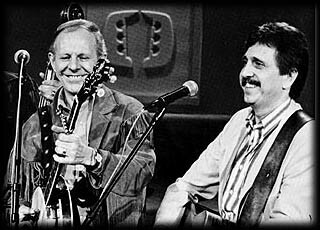 Feb. 2004: Picture of the Dillards with John Hartford 1973. 16. Feb. 2004: Picture of The Original Dillards. 15. Feb. 2004: Comic picture of Doug Dillard. 13. Feb. 2004: Picture of K-Ark single Joe Noel & The Dixie Ramblers. 06. Oct. 2003: Picture of the original Dillards 1989 with Steve Cooley. 06. Oct. 2003: Picture of Doug Dillard with Roland White at the Gram Parsons Tribute in Nashville 1986. 05. Oct. 2003: Picture of the Dillards 1974 with Irv Dugan. 17. July 2003: The Dillards Decade Waltz album released on CD by Beatball Records. 8. March 2003: Picture of Doug Dillard single Going Down. 20. Oct. 2002: Rodney Dillard sings "There is a time" on the Will the circle be unbroken, Part 3 CD. 19. Oct. 2002: Picture of The Original Dillards with Arlo Guthrie. 4. Oct. 2002: Info about "Dillards Songbook" and Mitch Jayne book. 30. Sept. 2002: Picture of the Howe Teague Band with Doug and Rodney. 24. Sept. 2002: The Dillards with Alro Guthrie and Pete Seeger at the Carnegie Hall on Nov. 30th 2002. 24. Sept. 2002: Picture of Rodney his wife and daughter Rachel. 23. Sept. 2002: Doug Dillard book from 1980. 23. Sept. 2002: Songbook by Doug Dillard.